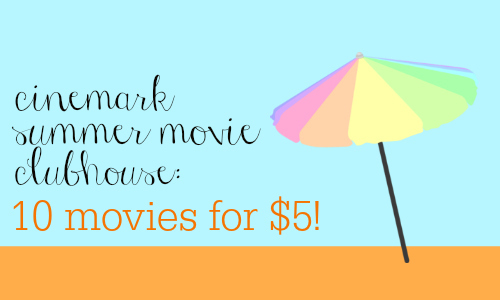 If you’re wondering what fun things you’ll do this summer that will also be frugal and a way to beat the heat, check out this fun deal from Cinemark theaters! Participating theaters will be running one children’s movie per week (rated G or PG) for 10 weeks during the summer. Tickets are $1 per person per movie, but you can buy a bundle in advance and pay $5 for all 10 movies! That’s 50¢ a movie! Showtimes and movie titles will vary by theater, so check the website to see your local Cinemark theater’s schedule. Ticket prices are the same for children and adults. Tickets are first-come, first-served, so arrive early to make sure you’ll have a seat.